The must-have accessory for lighting wedding unity candles. Wedding party - Featuring lighters decorated as trashy bridesmaids and a low-life "Leisure Suit Larry" uncle. 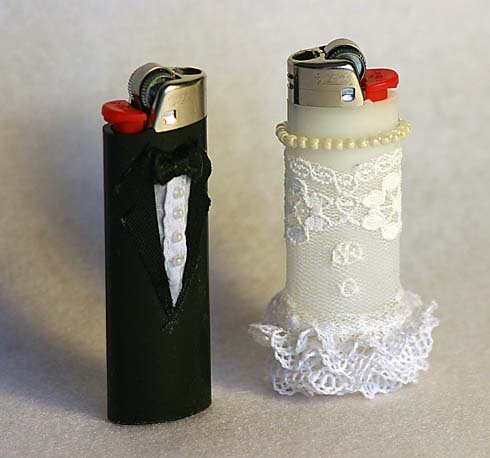 Arbor scene - The bride and groom lighters in a pastoral setting.